What are you cooking today? 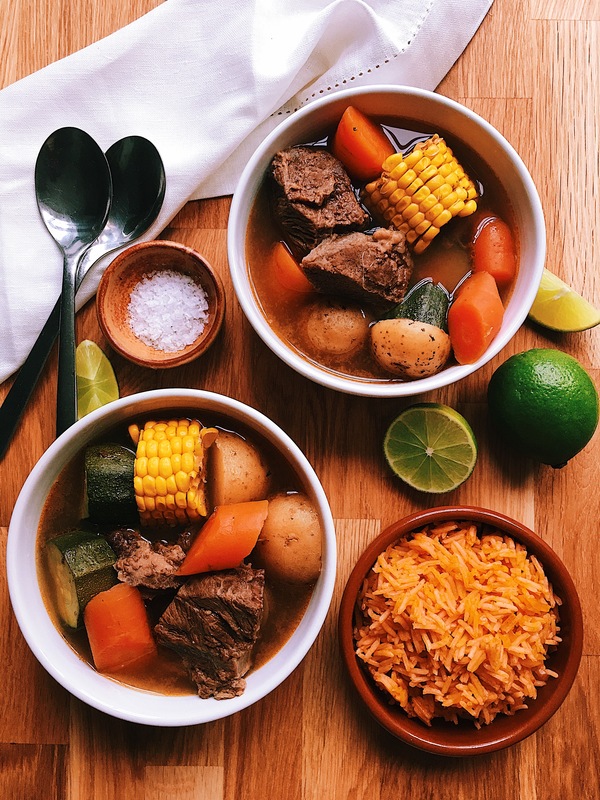 Well I cooked some delicious Caldo de Res or a lot of people know it as “Cocido” which is Beef Broth or Stew. My dad was a fan of these type of recipes, he even used to cook this in summer!!! I know, a bit crazy right? But according to him this dish makes miracles, especially for children, he used to make us eat everything in it. 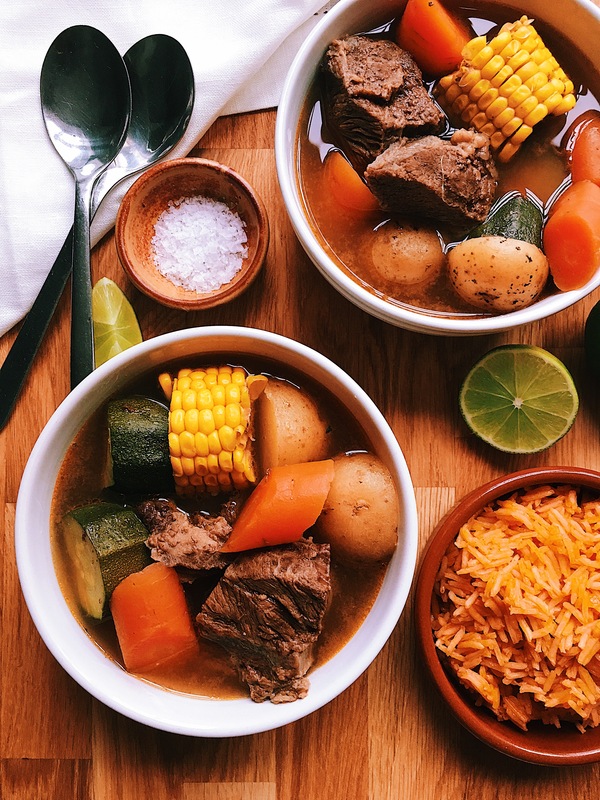 The way my dad used to make his Caldo de Res was incredible, he used to make a massive pot and we would eat this for days! He used to put lots of different vegetables and it was just lovely. Here in my house my children and my hubby absolutely love this broth, it is just delicious and cosy. In my recipe I used my children’s favourite veggies: potato, carrots, corn, courgettes, but you can add other veggies like green beans, white cabbage, parsnips, broccoli, etc. For this recipe I used ox cheek meat, as when is cooked slowly, this meat is delicious, it falls apart very easily. I cooked my meat the day before, at night, but if you have plenty of time, you can do it early in the morning. The meat has to cook for around 2 hours and a half, it has to be very tender. So here is the recipe. Cook the meat. In a large pot or casserole dish, add the ox cheek, bone marrow, tomatoes, onion, garlic, coriander, beef stock cube, salt & pepper. Add water just enough to cover the meat. Bring the meat to a boil, remove the impurities and low the heat all the way down. Leave to cook for around 2 hr and 30 min or until the meat is very tender that it falls apart. Taste if it is well seasoned. Once the meat is cooked, remove the onion, tomatoes, garlic & coriander. Cut all your veggies & add them to the meat. Cook the veggies in the meat broth for around 20 min or until soft. Serve in a bowl, squeeze a lime wedge in it. Have it with some Mexican rice, warm tortillas. Put avocado slices & spicy salsa inside your tortilla so you can have it as a taco. Just like Mexicans do! Enjoy!